Is anyone else already dying in this summer heat? If you’re not in the south, you’re probably still enjoying nice moderate weather but over here in Florida the weatherman has definitely decided to kick up the heat. It’s been a mix of rain and 90 degrees with full humidity that makes going outside a chore. TMI but seriously every time I step outside, my clothes stick to me. Any clothes are too much clothes in this heat. So what’s the solution? Definitely not staying inside all summer! Instead, I’ve been reaching for all of the jumpsuits in my closet. They are basically a one stop shop when it comes to outfit planning and they’re super comfy. Even better, most of the jumpsuits I own are made of a thin, breathable material that is perfect for this heat. 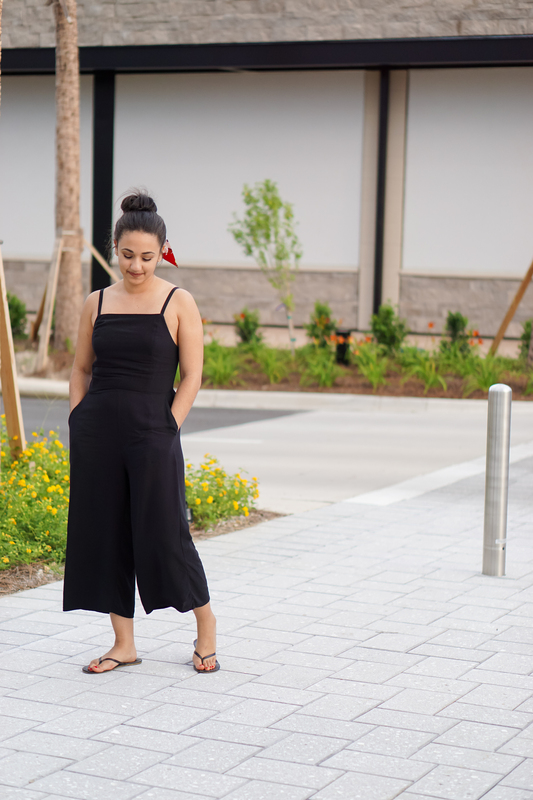 I’m a huge jumpsuit fan and if you haven’t jumped on that train yet you absolutely should! 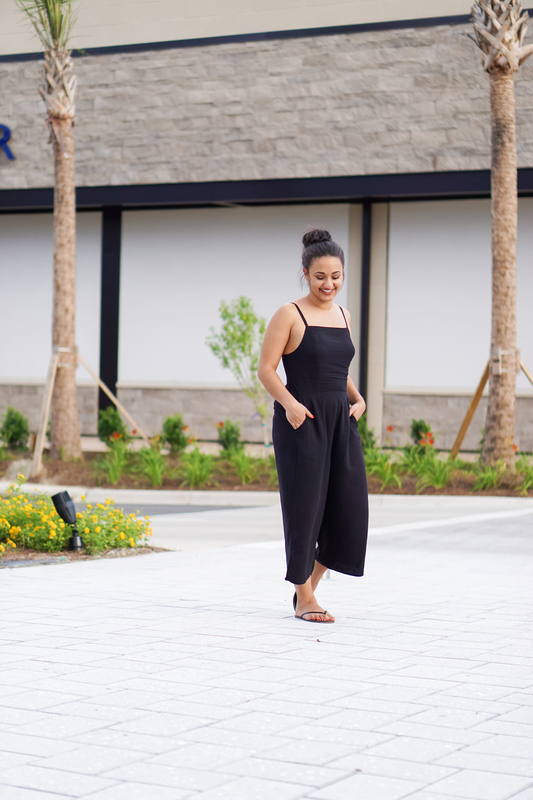 Jumpsuits are perfect for every occasion! 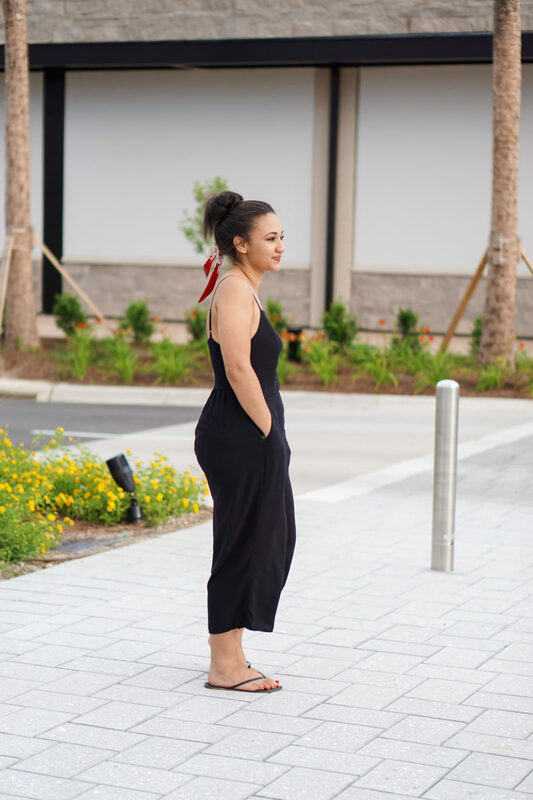 You can dress them up with heels or you can keep it casual with some flip flops and a messy bun like I did with this Old Navy Jumpsuit that is under $40. 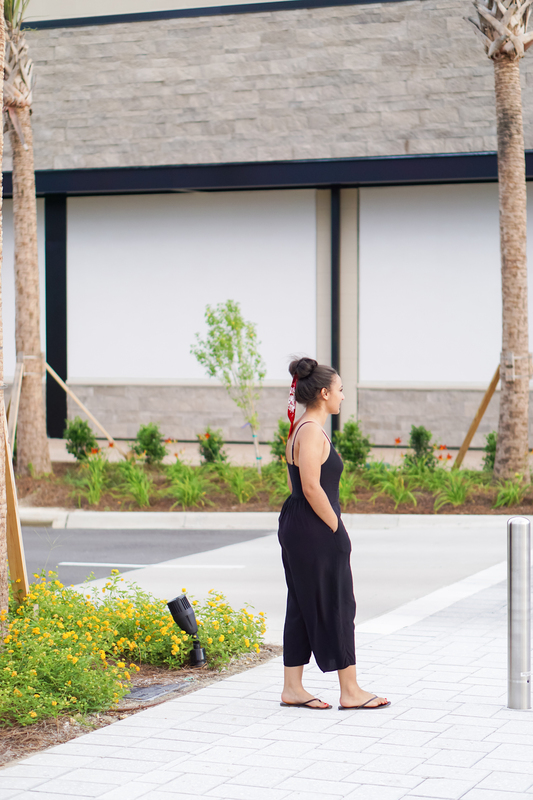 Do yourself a favor and add a few (or more) to your closet this summer for an easy go to option when the weather just doesn’t seem to be cooperating. Check out my top picks rounded up below. Most are under $50 and perfect for your next outdoor adventure. 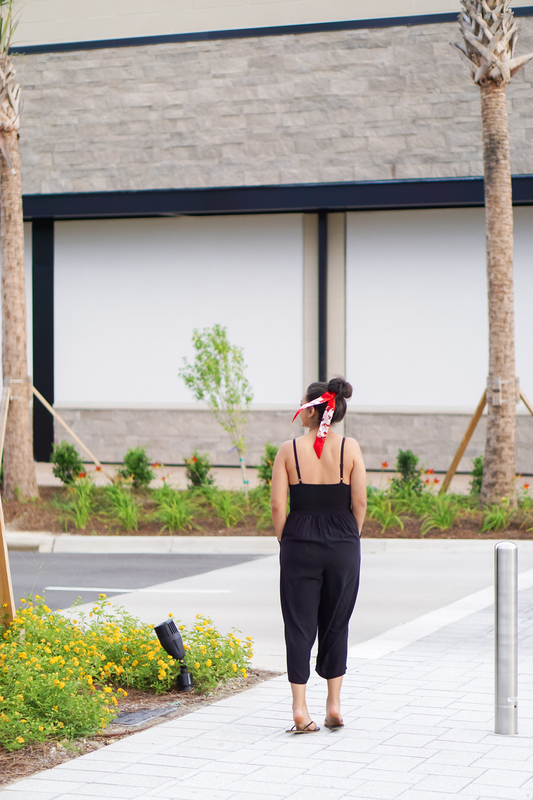 I love the look…makes me think Japanese inspired with the black and red, the bun and scarf… Also love that stripped jumpsuit, I think you wore it in a previous post. I haven’t tried jumpsuits since they came back in but maybe it’s time! Yes! Japanese indeed– I would love to visit someday soon! And jumpsuits are my favorite fashion item right now.